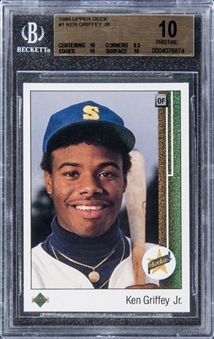 Graded PRISTINE 10 by BGS. Hall of Famer, in his treasured Rookie Card appearance. Among more than 36,000 copies recorded in the BGS census reporting, just over 110 examples (less than one-third of one percent of the total) have been placed at this loftiest tier. 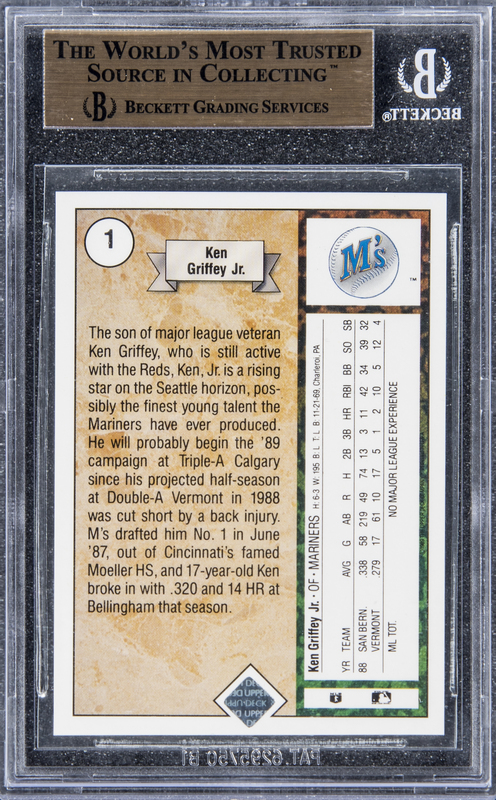 The card's BGS condition report: Centering: 10, Corners: 9.5, Edges: 10, Surface: 10. An indisputably magnificent debut-year collectible, in Pristine condition.